We would like to dedicate this recipe to the great people of Abruzzo, that lately lost all what they had in the unfortunate earthquake took place in the center of Italy. Thanks to the numerous herds graze on the great Maiella mountains, Abruzzo region provides the Italian cuisine a large variety of dishes based on sheep & lamb meat and cheese. This Abruzzese dish is our small contribution to maintain a great traditional cuisine, where currently houses and kitchens are all dust. 3 leeks, finely sliced (white part only). Cover cutlets with flour from both sides. In a large pan warm the olive oil with the chili pepper. 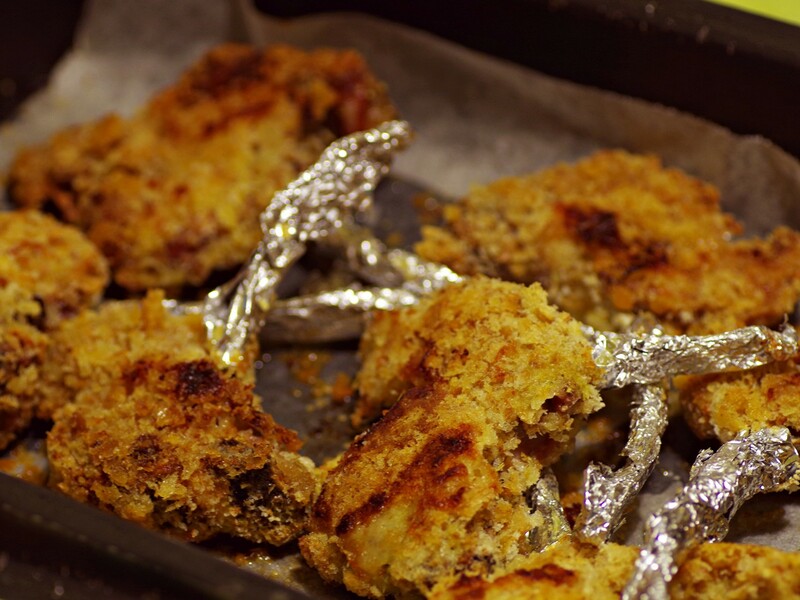 Take it out of the pan and fry the cutlets, in the same oil, from both sides on a high flame. Mix well the olives, oregano, lemon juice and salt and pour over the cutlets. Cover with a lid, cook for about 20 minutes, stirring occasionally. Focaccia Farcita (stuffed) served either as an antipasto or as a main course accompanied with salad. Emma and Richard came over just before their flight back to London. 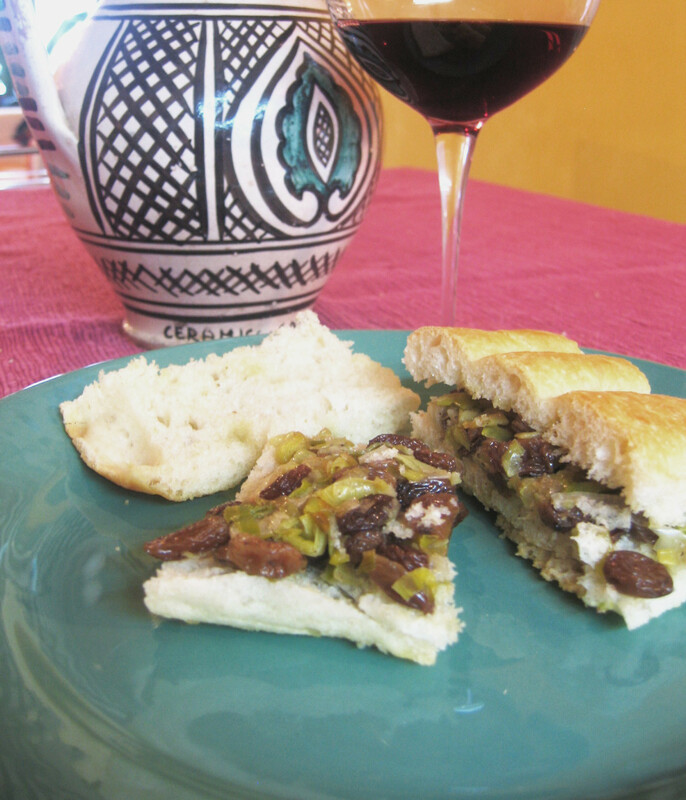 That was sort of a Sunday brunch, though an Italian one, so wine was involved too… When Mauro’s fresh focaccia came out of the oven we stuffed it with a surprising combination of leek and raisins, topped with a Fontina cheese. Leek is the winter star in our cuisine and it’s delicate taste upgrades many of our dishes, even by simply replacing onions. In a pan fry the leek with 3 spoons of olive oil, until it gets soft. Add the raisins (drained from liquids), salt and pepper, stir for 5 minutes. Set aside. Slice each square of focaccia into two, sandwich like. Put it on an oven prove dish, internal part up. Garnish each slice with olive oil, and grill for 5 minutes. Put on 4 foccacia bases the leek mixture and above it 2 slices of Fontina. Cover with the top part of the focaccia. Grill until cheese is melted, serve immediately.